Advice and support for expat landlords , as it was designed for a landlord to manage their landlord life from the local coffee shop ... or indeed the beach! Speak to Rental Income Tax Advisors to discuss your tax position and planning. What other advice would you give an expat landlord? 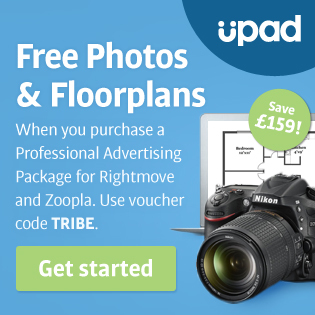 I've noticed an increasing number of expatriate landlords joining Property Tribes. I suspect that it is to do with rising house prices in the U.K. and also the advent of more financial products for expats through Peer to Peer lending platforms. 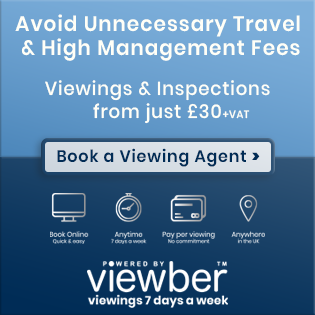 Being an expat landlord has all a the same issues as a resident landlord, except that you are hundreds, if not thousands, of miles away and you can't just pop round to fix a broken toilet, undertake a mid-term property inspection, or phone your agent/tenant if you are in a different time zone! Read some of the challenges faced by U.K. landlords who live miles from their property, and times these by ten! I thought it might be helpful to put some resources together for expatriate landlords, all curated in one place. Some High Street lenders have BTL products for expats and there is a growing number of Peer to Peer lending options, including from Assetz Capital. 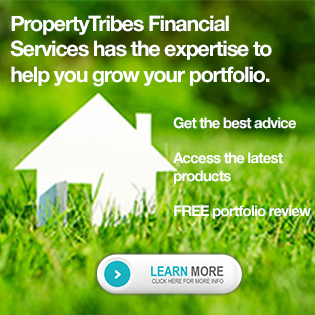 Property Tribes Financial Services has specialist knowledge of this area. Contact Howard and the team on 01206 654444 for an initial Fact Find and idea of the products you will have access to. Appointing a letting agent to manage the property in the U.K. is an obvious solution for the expat landlord. However, its important to appoint a reputable one. Always make sure that you let through an accredited agent who has client money protection in place. Look for those agents who have the SAFEagent badge for peace of mind. 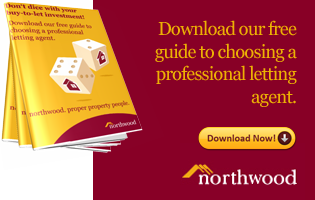 Some expat landlords might prefer to opt for a Guaranteed Rent service, like the market leading one offered by Northwood. Guaranteed Rent means that the rent is paid on time, every time, even if the tenant stops paying or the property is empty. Again, be sure that any agent offering Guaranteed Rent has the financial capacity to fulfil such an obligation and is also has recognised client money protection in place. Rent Guarantee Insurance is an alternative, and would pay out if the tenant stopped paying the rent, although a claim would have to be made first. Good neighbours are worth their weight in gold and can be your eyes and ears at the property. They can notify you if something untoward is going on, making sure that you are up to speed with what is happening at your investment. The advent of digital technology and the cloud is making a landlord's life a lot easier and more efficient. Using property management software can keep your property portfolio under control, no matter where you might be in the world. We like Arthur Online, as it was designed for a landlord to manage their landlord life from the local coffee shop ... or indeed the beach! Thanks for the mention and yes, overseas Landlords are an important part of the sector who often have different needs. At Northwood a little over 7.5% of our client base are overseas Landlords and as such we're used to responding to wildly differing requirements surrounding property management, neighbour relations, financial details required for end of year tax statements, mortgage company requirements and more (in fact everything from the initial 'I'm considering letting my property while I'm overseas' conversation right through to collecting the post and sometimes feeding the cat!). Our dedicated Compliance Team are able to provide advice before Landlords make the decision to let their property ahead of a move abroad, providing peace of mind and often helping Landlords tick many tasks off their 'to do list'. We also have an Online Portfolio Manager which is particularly useful for Landlords based overseas who wish to check key information relating to their tenancy at the click of a button (particularly useful if it's a quick and simple query while it's daytime in Australia and nighttime in the UK). Good to see a resource for expat property investors Vanessa, so thanks for creating it. You're right that we've seen lots of interest from international investors who want access to the UK property market, and it's something that I think will increase over the coming years. 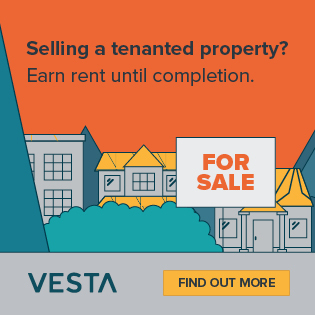 Assetz Capital offers peer-to-peer BTL mortgages at 60% LTV - you can find out more on our website (search for "Assetz Capital", or you can call a member of the team on 0161 482 7528 and we can talk you through the process. Thanks Stuart and Nick for commenting. I read somewhere that there were around 2 million overseas landlords investing in the U.K. and I am sure that a significant portion of those will be expats. Many like to keep a "foothold" in the U.K. or feel comfortable investing here because it is their home country. I created my guide as I am sure these landlords want to create as safe a portfolio as possible and find the right firms/products/services to support their assets in the U.K. so that they can sleep easy at night in their beds many thousands of miles away! Mr Bowman says his complete physical – and emotional – detachment from his properties is what makes them a successful business, he thinks. “You can’t get attached to an investment property and you don’t need to know your tenants’ names. Ask yourself if the price is good and can you make money on the rent. I know a lot of people who went wrong because they remortgaged and over-mortgaged. “I’ve always tried to make sure the income is 50 per cent higher than the mortgage. (10-03-2014 02:12 PM)Vanessa Warwick Wrote: I read somewhere that there were around 2 million overseas landlords investing in the U.K. and I am sure that a significant portion of those will be expats. The most recent government report said there are 4 million households in the PRS. Something tike 1.7 million landlords in total. If the numbers I remember are even close to right, the number of overseas landlords has to be a tiny fraction of the 2 million number you mentioned. Northwood indicated that 7% of their landlords are overseas. No idea if the firm is representative of the larger market. If so, 7% of 2 million (140,000) might be a much closer guess. This is an excellent resource Vanessa. It is important to bear in mind your tax implications too. One notable implication is the operation of the Non-Resident Landlord Scheme. There is various HMRC guidance on this topic, and we would be delighted to provide personalised advice on request. A great post. Thank you. I have been an overseas landlord twice in my life. In my early 20s where I was a field engineer, we bought and let a UK property more out of fear of the rapid price increases, and that any money saved overseas would be dwarfed by the rising cost of housing. So we bought in 1980. It is important therefore to understand the prime motivation for an expat buying a property in the first place. If it is to mitigate the eventual cost of buying your own property, that is often at odds with an investment mindset. You want to buy a property for your eventual return to the UK, yet that is incompatible for some people to have the same property let to somebody else. It is a bit like the decision you take to buy a new car or a second hand car. Do you want to inherit soiled goods? You may also worry about the effect on your future neighbours of the behaviour or lifestyle of your tenants. So the experience I took away from our first decision to invest in UK property whilst overseas, and I think the same would apply to somebody expatriating from their home, intending to return to their home, is to buy another property that you do NOT intend to live in upon your return, and this makes it psychologically easier to make a business based decision separate from the personal psychology that accompanies letting your own home to a stranger. The second time, in my late thirties, of investing in UK property was both opportunistic and purely with investment in mind. It was in the early 1990s, and since our overseass savings were denominated in US dollars, property in the UK had fallen nearly 50% in USD terms from its 1991/2 peak. In our mindset, we were buying at half price! At the time, we never thought we would return to the UK, so we did this through an offshore company to take advantage of zero CGT. However, some seven years later, for the benefit of the education of our sons, we changed our minds and decided to spend up to two decades resident in the UK. Had we not changed our minds, or had we not cared about future tax implications of our decisions, we would have been a few tens of thousands of pounds and fewer complexity headaches better off. So the lesson we took away from our second stage of investing in the UK as an expat is don't try to over-analyze the situation based on your fixed perception of the future. Because the future often changes, and your plans in one decade have a habit of changing in the next decade. Despite the existence of interest only loans, I would also advise expats to try to take out relatively short repayment loans. When you are living the life of Riley overseas, often not taxed on personal income, almost everyone has a tendency to live like the expat and not like the local. I estimated once that my net income after mandatory costs was seven times that of the UK whilst I was based overseas, albeit with almost all expenses paid by my employer. Paying down a UK mortgage in ten years whilst overseas would, in my case, have been seven times easier than paying it down after returning to the UK. I would say, in summary, that buying UK property whilst living overseas turned out to be the best investment decision of our lives. I would encourage anyone with the right vested interests (i.e., planning to return home to live here, as opposed to a third country national just parking his assets in the UK) to strongly consider buying a UK home on a mortgage, of a size and cost perhaps up to 150% to200% of that they had aspired to whilst they were resident here and paying tax here. The caveat, of course, is that unless you spend a full five tax years away from the UK, you may not be exempt from paying income tax in the UK on earnings overseas. In this respect, a UK based international tax adviser is a must. Of course expat landlords don't only buy properties in the UK but all over the world too. "Product- Tracker - Bank of England Base Rate plus 3.39% for the term of the loan. Loans Available - PURCHASE: Buy to let only. REMORTGAGE: None. Valuation Fee - Varies depending on the property value. Refer to lender's fee scale. Bank Legal Fee - A legal fee is charged on buy to let and residential loans over 1,000,000 GBP and commercial loans over 500,000 GBP. Early Repayment Fee - 1% for 1 year on full redemption only. Nationalities - Ex Pats considered if working for a large multi-national company based in China, Hong Kong, Singapore & Malaysia. Foreign Nationals accepted from mainland China, Hong Kong, Singapore and Malaysia. Applicant Types Accepted - Individuals Only. Minimum Time Self Employed - This lender does not accept self employed expats. 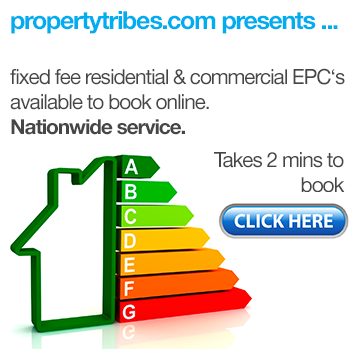 Affordability Details An affordability assessment is carried out by this lender. For BTL mortgages the rental coverage is believed to be 100% rental coverage required on a capital and interest basis at an interest rate of 8.5%. Lender Conditions - Min. income £18,000 - no adverse accepted. For Leasehold properties minimum lease at the start of the mortgage 80 years and 55 years at the end. This lender will also consider lending on commercial investments, industrial property, retail, franchises and offices in prime locations. loans past state retirement are considered. Minimum value of 100k accepted on new build flats. The maximum number of properties owned in total accepted by this lender is 10. Expats have no time limit on when they must return to the UK. This lender does not accept professional landlords. This is a residential mortgage. However, the lender does permit the applicant to let out the property to family members. The client must also have the intention of returning to the property at some point to have as their main residence." This is an insight in to just one product - many, many more examples and products area available. This is indeed a growing market and we have certainly seen an increase in enquiries for mortgages from expat Clients. Thanks for sharing the fine detail. Repayment loan. Sounds like a good idea to me. You have to work for a large multi-national so contractors and small firms are out. Lifetime tracker and a conservative index at that. Margin is fine. The following did jump out though and I think the LTV of 75% is going to be way lower when you apply this test. Quote: Affordability Details An affordability assessment is carried out by this lender. For BTL mortgages the rental coverage is believed to be 100% rental coverage required on a capital and interest basis at an interest rate of 8.5%. Ha, nice one John, I knew that you'd notice that! Product 2.09% discount off the lender's variable rate for 2 years, then lender's variable rate for the remaining term of the loan. Lending Available Between 125,000 and 1,500,000 GBP. 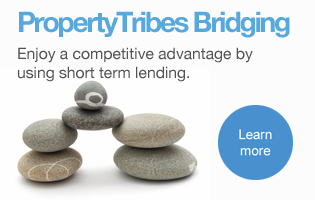 Loans Available EXPATS ONLY - PURCHASE: Standard Buy to let properties and HMOs. REMORTGAGE: Like for like and equity release on standard Buy to let properties and HMOs. Valuation Fee The price varies depending on the property value. Applicant Types Accepted Individuals Only. Lending Based On The lower of the valuation or purchase price. Affordability Details Rental income must cover a minimum of 125% of the mortgage payment calculated at the higher of either 5% or the initial interest rate of the mortgage product. Lender Conditions A) Only available to UK Expatriates. B) Minimum income required: 25,000 GBP. C) Not available to first time buyers. D) Applicants must already own either a residential or buy to let property in the UK. E) Applicants must be deemed to be in a "Professional Occupation" by the lender. F) Applicants must have a UK bank account. I could go on (as I think most people on PT now realise ) but suffice to say that this is yet just another one of the products available in todays marketplace. When an actual enquiry comes my way, we filter the deals from the available market to suit our Clients requirements. Always happy to discuss specific deals. Well done to you for focusing on the client before trying to suggest a product solution. What I was trying to highlight is the idea that an expat is not a normal risk borrower so even when there are more loan products on the market, the lender will apply extra measures to deal with the added risks or processing costs. In the case of the first one the lender is using a repayment loan, 25% cash in at originally and a higher test for the debt service coverage. A really solid expat borrower can deal with the added costs or hurdles to compensate the lender for the added risk. Ultimately there is almost no good reason for a lender to address the expat market if that market is a niche one with extra risks. Why not use the capital in the main market with lower risks? The lender can rebalance the risk scales and that is what the prudent ones will do.